The translation of Tu te souviendras de moi was developed with the support of The Glassco Translation Residency in Tadoussac. EDOUARD: I won’t forget you. MADELEINE: Don’t make promises you can’t keep. Francois Archambault, the Governor General Award-winning Quebecois playwright, receives the Quebec English-language premiere of his 2015 play, You Will Remember Me (Tu te souviendras de moi), at Centaur Theatre from March 7th to April 2nd, 2017. 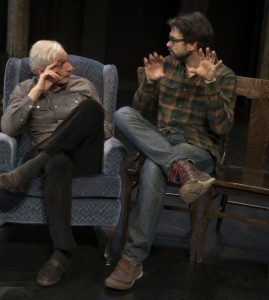 The coincidentally titled production is the last play that Roy Surette will direct as Centaur’s Artistic and Executive Director before returning to the West coast in June to helm Touchstone Theatre. Venture into Edouard’s slowly changing world, where the highly respected professor, political commentator and ladies’ man can recite famous historical dates but can’t remember what he ate for breakfast. When a suppressed memory springs to life, the line between reality and dreams blurs, allowing him to revisit the past and heal old wounds in a touching and refreshingly funny story about family, memory, and connection. EDOUARD: Well, don’t be gone too long … I might not remember who you are. ISABELLE: I’m in the moment with you, Dad … My wonderful Dad who I love, even if, sorry, you drive me crazy most of the time. Actor and musician, Jean Marchand, who recently played God in the TNM musical production of Brecht’s La Bonne Âme du Se-Tchouan, is Edouard, the dynamic family patriarch. Twelve-year Stratford veteran, Lally Cadeau (Road to Avonlea) is Madeleine, Edouard’s neglected wife who is at the end of her rope. Their daughter Isabelle, an up and coming TV news reporter, is played by actor/playwright/director, Johanna Nutter (My Pregnant Brother, Good People, CHLORINE) and, her accommodating boyfriend, Patrick, is played by Charles Bender (APTN’s Mohawk Girls and Sioui-Bacon; Refugee Hotel, Teesri Duniya; Louis Riel: A Comic Strip Stage Play, RustWerk Refinery). The role of Patrick’s precocious teenage daughter is played by a relative newcomer making her Centaur debut, Amanda Silveira. EDOUARD: You are all prisoners of an endless present moment … Like me. One of Canada’s in-demand designers, Eo Sharp, (Alice in Wonderland, Shaw Festival; King Lear, Mary Stuart, Stratford Festival; The Comedy of Errors, Centaur) created the set and costumes. Luc Prairie returned to Centaur (Last Night at the Gayety, Innocence Lost, In Absentia) as the Lighting Designer. With an impressive 24 seasons at Stratford to his credit, Keith Thomas (Butcher, Innocence Lost, Centaur) composed the original music and designed the sound. 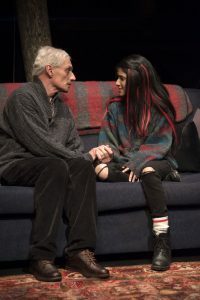 Actor and inFurnace Theatre’s Artistic Director, Stuart Fink, was Mr. Surette’s Assistant Director, with Samira Rose stage managing, assisted by Apprentice Stage Manager, Philippe Gobeille. 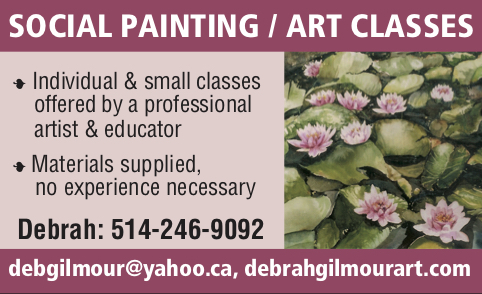 Sunday Chat-up: March 12th at 12:30pm prior to the matinée performance. Presented in collaboration with the Montreal Gazette, join Editor in Chief, Lucinda Chodan, in conversation with Dr. Natalie Phillips, a Neuropsychologist and Professor in the Department of Psychology, Concordia University, and a member of the Centre for Research in Human Development (Concordia) and the Lady Davis Institute for Medical Research (Jewish General Hospital/McGill). Learn about risk and prevention as Dr. Phillips’ shares her research findings, including cognition difficulties in Alzheimer’s disease and in aging, and the differences between the two. Complimentary coffee and biscotti will be served, courtesy of Centaur Theatre’s Season Sponsor, Bonaparte Restaurant. Admission is FREE. 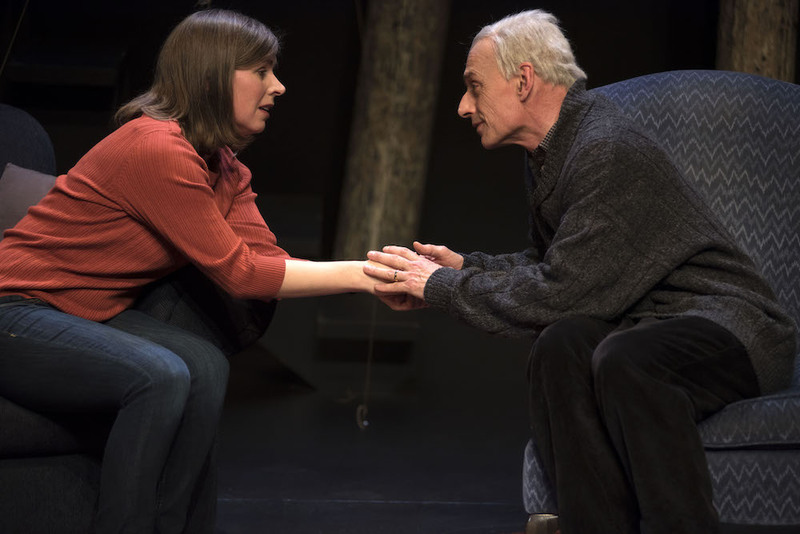 Talk Backs: Go behind the curtain with director, Roy Surette, and the cast following the evening performance on Thursday March 23rd and the matinée presentation on Sunday March 26th. Be the first to comment on "Centaur Theatre presents You Will Remember Me"